Yearbook classifieds for Battery Creek yearbooks are listed below. If you want to see if others from Beaufort, SC high schools want to make a trade for a yearbook, post your info below. If you are an alumn of Battery Creek you should register now in the alumni directory. We also encourage you to interact with the rest of the alumni on this site. You can find old friends, share photos and stay updated on the latest school news. Hi, if possible...I would like a yearbook from the class of 2003, I was unable to receive a copy during this year, thank you. I was wanting to order a yearbook for memories. I bought one in 12th grade but forgot to pick it up. I am willing to buy another. I was on the yearbook staff in 2001. My name is Emilia Sanchez-Polite! I'm interested in acquiring a BCHS yearbook from my senior year. All of my high school memorabilia was taken from me in college. 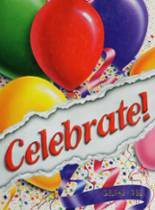 Looking to purchase 1993 yearbook. I would love a year book i had to move three months before graduation. Would like to find a copy. Lost mine moving years ago. I still havent given up! 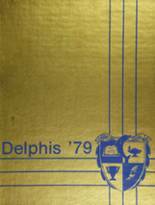 Need to buy a 1981 Battery Creek Delphis. ANY condition!!! My father graduated from BC in 1981 and passed away in 1989. Every picture that I had of him (with the exception of one of them) was destroyed in a fire. I am willing to buy yearbooks from the years 1977 -1981 in hopes that there's a snapshot or two of them in there. His name was Collins Washington. Thanks.